Faridah has been with us for twenty years and is still going strong. She enjoys cooking and travelling when she isn't spending her time behind the desk. 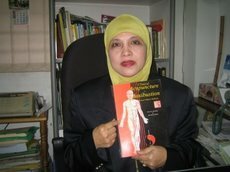 She is one of the Malay Lady Acupuncturist and Homeopath in Malaysia. She first work as Assistant Pharmacy at Homeopathic Medical Centre at Kota Bharu in 1978 and join fist homeopathic classes in April 1979. After 5 years she qualfied her DHMS. In 1983 she was posted as Assistant MO at Pulau Pinang Homeopathic Centre. In 1987 she was posted to Shah Alam Homeopathic Medical Centre. 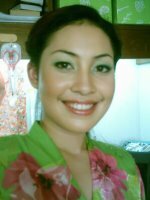 In 1997 she was appointed as a manager at Nik Omar Homeopathic & Acupuncture Centre at Kg Baru and now at 118 Jalan Raja Laut, Kuala Lumpur. 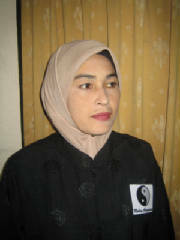 She has a great experiance in homeopathy and acupuncture. She has visited China, India, Pakistan, England, Belgium, Italy, Swizerland, etc. 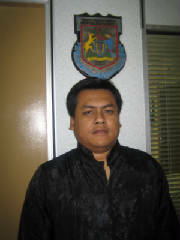 Mr Nik Omar has been working at our company for over 30 years. He is a dedicated employee, and we are fortunate to have him. 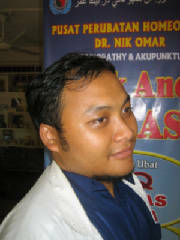 He is one of homeopathic pioneers in Malaysia. Being a senior homeopath and acupuncturist. 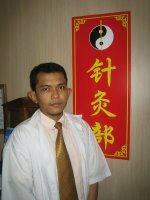 He is today among the top TCM alternative and health care practitioners in Malaysia. Further his studies at London ( 1975 -1977 ). President of Malaysian Homeopathic Medical Practitioners Associtaion. Homeopathic Centre, No. 29 -1st Fl. Jalan Kerjaya - Glenmarie, Sek U1, Shah Alam, Selangor.